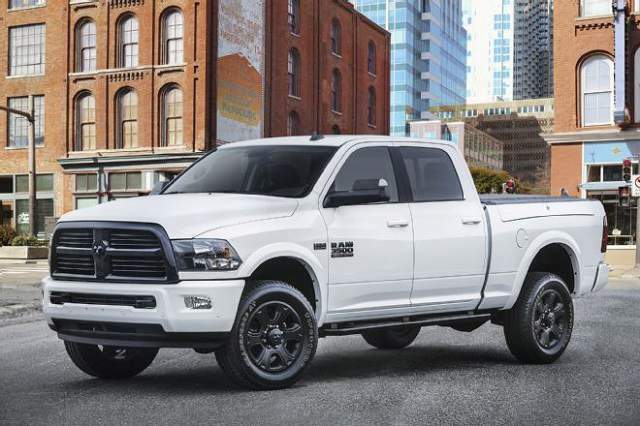 Fiat-Chrysler Automobiles group, the owner of Ram brand, is preparing the new generation of heavy-duty trucks. Spy shots are there to show up glimpses what will the 2020 Ram HD look like. Of course, we can’t see all. A regular cab and single rear wheel pickup had a minimum camo when it appeared for the last time. Lights and grille suffer cosmetic changes. What is happening under the hood we still don’t know. But, there are no doubts that Cummins diesel unit is taking a position where it was in the previous edition. Ram 3500 Dually is one of the mightiest truck in the US. However, the race for the best pickup continues in the new season, since both Ford Super Duty and Chevy Silverado HD models are planned for 2020. Of course, all of Detroit’s big three companies will present its latest product in hometown, at NAIAS 2019. SPIED – What Will The 2020 Ram HD Look Like? There are some clues about the new 2020 Ram HD. The company is not unveiling details. They won’t do it before the official release date. Meanwhile, the FCA is testing the 2020 Ram HD series. According to spy photos, the size will remain the same. Outside the test mule, we can see the new grille hiding under panels that cover the vehicle. Besides that, headlights will be different on the new 2020 Dodge Ram HD trucks. The front bumper will join the redesign changes. In the back, again, new taillights refresh the next-gen HD truck. Also, we believe the company will introduce various options for the tailgate. With it, access to the bed will be easier. Although there are spy shots of the 2020 Ram HD cabin, we can’t see too much in there. Test mule is not yet equipped with all the stuff buyers will find in the production model. Also, the new Ram 2500/3500 pickups will come in a few trim levels. Top of the range Laramie Longhorn and Limited are always coming with premium options, such as leather seats and multi-zone air conditioning. Two models are in the 2020 Ram HD lineup. As we already know, these are Ram 2500 and Ram 3500. Although they are almost the same, there are some differences. The main is towing capacity and engine outputs. Both are offering two petrol and one Cummins diesel unit. For the 2020 Ram 3500 HD, this one can create more torque and power. When we convert extra 15 hp and bonus of 100 lb-ft of torque, the 3500 truck gets over 31,000 lbs of towing capacity. It is also possible with a dual rear wheel setup. The new 2020 Ram 3500 Dually is going to fight Silverado 3500 HD and Ford F-350 for the best torque output. Under the bonnet of the 2020 Ram HD remains a 6.7-liter V8 turbodiesel by Cummins. Depending on a configuration, the engine can create 350, 370, or 385 hp. For the next-gen Dodge Ram heavy-duty segment, Cummins could go up to 400 horsepower. What is more important, a High-Output version of the same mill can deliver over 900 lb-ft of torque. In 2020, the Ram 3500 Dually will offer 930 pound-feet of twist. A standard configuration is capable to create 660 lb-ft or 800 pound-feet. The 2020 Ram HD towing capacity will go over 32,000 pounds if the Cummins engine reaches 400hp and 930 lb-ft. Currently, the max hauling capability is at 31,820 lbs. The 2020 Dodge Ram 2500 HD is going to offer 18,000 pounds with higher output. The next-gen heavy-duty trucks could drop a 5.7-liter unit. This Hemi engine is already used by some SUVs, and the working mule needs a more potent drivetrain. Outputs of 385 hp and 400 lb-ft of torque and towing capacity of 14,000 pounds are just not attractive to serious buyers. Those who prefer gasoline over diesel will rather choose a 6.4-liter V8. With it, the 2020 Ram 2500 and 3500 can pull 16,300 lbs. The engine delivers 410 horsepower and 430 lb-ft of twist. So far, six-speed transmission with manual/electronic shift-on-the-fly modes was the only gearbox for the heavy-duty segment of Ram trucks. Now, the new generation brings changes in this section. A new eight-speed automatic transfer case will boost outputs and fuel economy. It is still a secret who will deliver it. But, there are only two companies capable to meet requirements for such an order. An eight-speed gearbox is coming from either ZF or Aisin. ZF is already supplying some FCA models with such transmission, while the other company is the current manufacturer of Ram HD transfer cases. Both trucks in the 2020 Ram HD lineup will offer numerous trim levels. However, one is standing out. 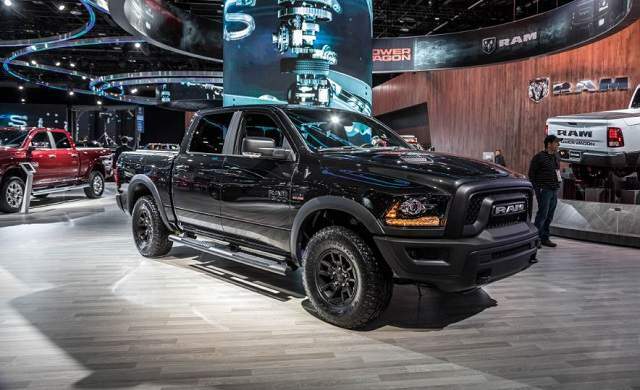 The 2020 Ram 2500 Power Wagon is an off-road truck with special upgrades for better towing in tough conditions. It uses petrol engines only. Unique parts that we won’t find on other Ram HD trucks are electronically controlled locking differentials and front sway bar or warn winch. Special wheels with all-terrain tires are installed on this pickup. Bilstein is supplying new shocks, while the truck gets lifted by almost two inches. Throttle mapping is not the same as for other versions since the 2020 Ram 2500 Power Wagon needs low range values for better performance in mud, sand, and other terrains. It is hard to believe we won’t find everything about the 2020 Ram HD in Detroit in January. The biggest stage in the automotive world is the perfect place for such a model. Well, big companies are getting the most profit out of the heavy-duty segment, so these trucks have a special treatment. Also, the 2020 Dodge Ram HD series is entering the new generation, so there is no better solution than to appear at NAIAS 2019. Whatsoever, after the premiere, buyers will have to wait for few months before the release date for salons. The prices are still unknown. All big three companies are preparing new models, so none of them wants to be first to unveil their pricing. In this battle, the true winners are buyers. It is possible that price modifications will be minimal. So, the base Ram 2500 could star again from $34,000.